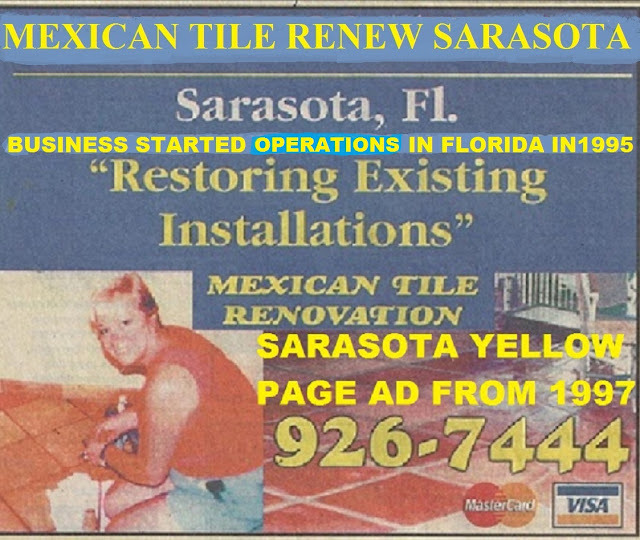 MEXICAN TILE RENEW PROJECT IN NORTH PORT FL USE SOAP AND WATER TO CLEAN YOUR TILE. Vinegar used as a floor cleaner with Mexican tile will only ruin the finish and discolor the grout. MEXICAN TILE RENEW PROJECT IN NORTH PORT FL USE SOAP AND WATER TO CLEAN YOUR TILE. It is advisable to have Mexican tile floors stripped and re-sealed about every 8 to 10 years. MEXICAN TILE RENEW PROJECT IN NORTH PORT FL USE SOAP AND WATER TO CLEAN YOUR TILE. Do not use waxes like Mop and Glow with your Mexican tile it will only leave a dark colored build up that is hard to remove. MEXICAN TILE RENEW PROJECT IN NORTH PORT FL USE SOAP AND WATER TO CLEAN YOUR TILE. You should sweep and clean your Mexican tile often to remove sand and dirt that will ruin the applied finish. Use a damp mop at least once a week. Your best tools are a 32-ounce cotton rag mop, a rolling mop bucket and a neutral cleaner that doesn’t contain acid, nitrates or phosphates. Be sure to rinse well with clean water.